The fact that a lone drone (possibly two drones) managed to shut down Europe's eighth biggest airport for roughly 36 hours during the peak of the holiday travel season - with UK authorities appearing surprisingly helpless when it came to tackling such a seemingly benign threat - is one of the biggest embarrassments in UK aviation history. 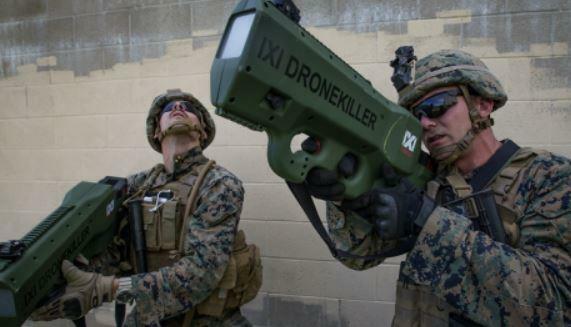 After bringing in an unidentified military-grade anti-drone system to handle the drone threat, the airports have reportedly invested millions of pounds in purchases of anti-drone equipment - though they declined to specify exactly what they purchased (it's widely suspected that the system is similar to the Israeli-developed "drone dome" tech which scrambles the signals that guide the drones, causing them to fall out of the sky). The airports reportedly expressed significant interest in drone dome. According to the BBC, the UK ministry of defense purchased one of the units last year, though this hasn't been confirmed, and it's unclear whether this system was used at Gatwick. According to the Guardian, the new systems were purchased and installed roughly one week ago. And on Wednesday, the Ministry of Defense said it had withdrawn its personnel from Gatwick, though its troops "stand ever ready to assist should a request for support be received." UK Transportation Secretary Chris Grayling reportedly chaired a meeting on Thursday morning at which defense personnel, UK police and officials from the Home Office discussed future plans for dealing with the threat that drones pose to vital infrastructure. And next week, Liz Sugg, parliamentary undersecretary of state for transport, is due to meet the heads of all major airports in the UK to discuss their own defenses, as well as their plans for beefing up security. Edinburgh Airport in Scotland has also indicated that it’s taking its starting foot patrols and expanding some no-fly zones around the airport as additional precautions against any future "drone attacks."